Window blinds and shades are the most in demand blinds in the market for window treatments. There are different types of window blinds and shades and they also have different features and with countless benefits. Vertical blinds and horizontal blinds are some the most sellable blinds in the market today. Vertical blinds are made with slats/blades that runs from down to bottom. It is usually made in PVC and fabric material. 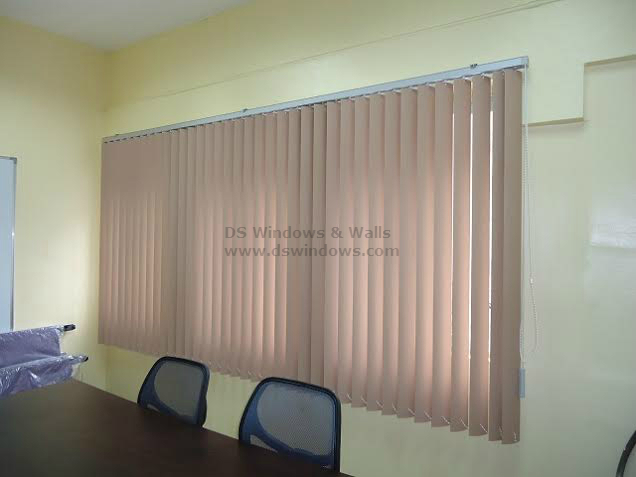 Vertical blinds are popular choice for offices and other areas with long and wide sizes of windows. It can be adjusted if you want to block the sunlight or if you want to see the view outside. Its slats or blades can be detached for easier cleaning. Another good thing with vertical blinds is that when a slat or blade is broken, it can be replaced easily, you just need to pay for the slat only. Horizontal blinds are the most common and least expensive type of blinds. It also offers great privacy and neat appearance. In terms of maintenance, it is also easy to clean with just a simple wipe from feather duster or damp cloth. It also has a wide range of colors compared to other window blinds that will fit in your personality and your fashion and taste. 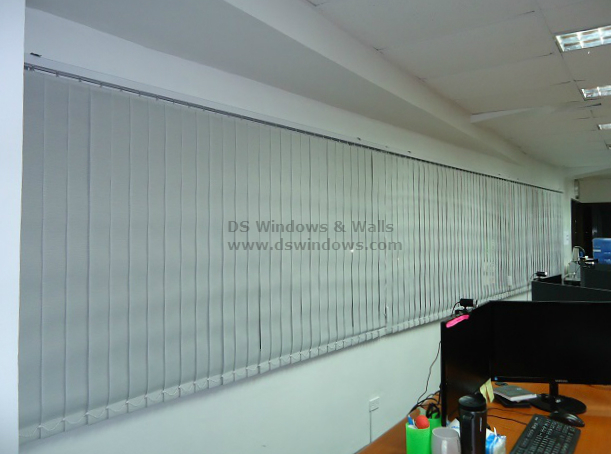 Here are some of horizontal blinds that we installed in some place at Pasig City. 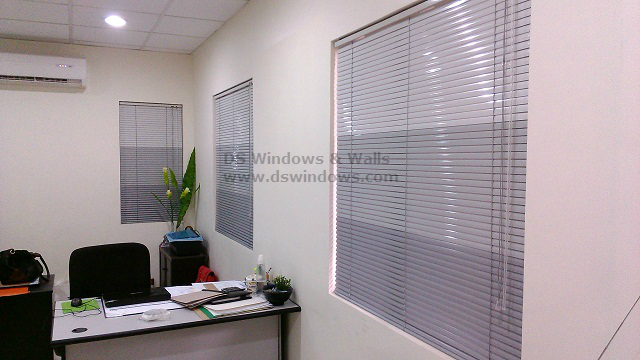 DS Windows & Walls offers vertical and horizontal blinds and other types of blinds like Roller Blinds and Combi Blinds. 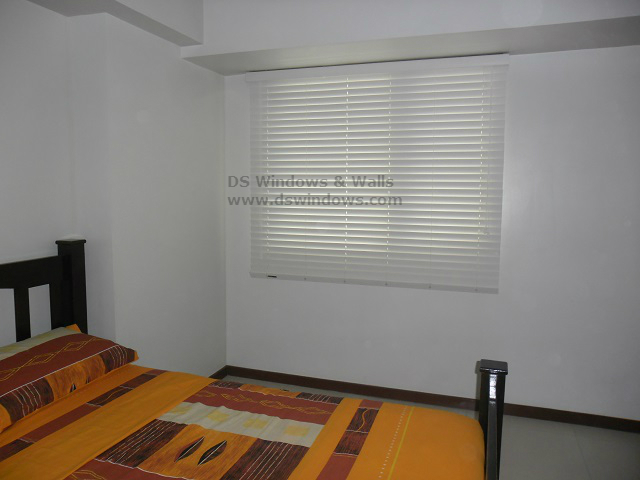 For more photos of our window blinds, you can check our web store www.angryblinds.com.ph. You can also visit our shops located at 4th level Waltermart, Makati City, 3rd level Robinson Metro East, Pasig City, and 2nd level Pacific Mall, Lucena City. 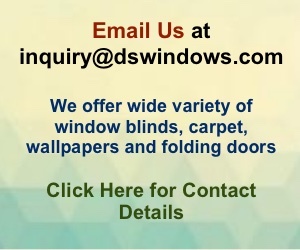 You can also email us your measurement for rough estimate at inquiry@dswindows.com or call us at (02) 403-3262, (02) 668-9668, (02) 893-1373, and 0916-311-3909.